NEW - Voice Drop a real time saver that automates leaving a voicemail. Perfect Unified Agent Desktop - for Dynamics CRM and Avaya Aura Contact Center agents, out-of-the-box. > Affordable for any number of users - Even as low as one. > Team mode autodialer uses Dynamics 365/CRM Queues for distribution. > For Microsoft 365/CRM with any phone system - more than any other ! > Supports Avaya, Cisco, Skype for Business, TAPI., and all SIP/hosted phone systems incl. Gamma Horizon, RingCentral, Vonage. Jive, Goldfish, Asterisk..
Why you need Dynamics Telephony See how Dynamics Telephony improves contact rate by 50-100%. Acorn Insurance on Skype for Business - At last, how telephony should work with Dynamics 365/CRM More..
Dynamics Telephony is a subsidary of CT Solutions. Our parent company has provided robust, high availability enterprise communications solutions for over 25 years. The company provides services ranging from training and custom reporting, MIS and data analytics to turnkey fully integrated custom solutions for large contact centres. Dynamics Telephony was setup to provide an integrated telephony solution for MS Dynamics 365/CRM. This is the sole function for the company and as such it is able to focus entirely on this one product while still leveraging the telephony engines, technologies and experience gained from CT Solutions over the years. 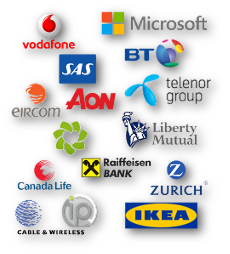 Many Microsoft Partners provide Dynamics Telephony. Dynamics Telephony will always be the best telephony integration for Dynamics 365/CRM. Every 2 months we will inform you of the latest additions.